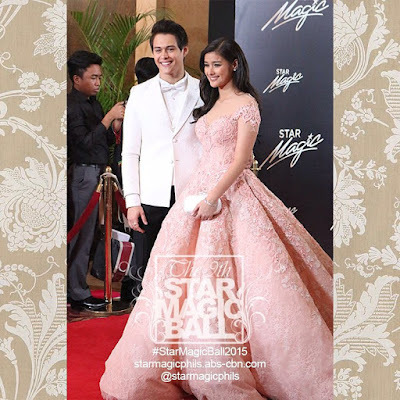 Thank you so much to all those who took part in our poll for the best-looking pairs at the recent "Star Magic Ball 2015, and now we're ready to reveal the best of the best....the "10 Best-Looking Pairs" list based on your votes. I absolutely love your choices my dear readers. Kim Chiu who wore a Pepsi Herrera gown and Xian Lim in a suit by Francis Libiran were the top choice as the best-looking pair at the ball, getting 78% of the votes. Wow! No wonder why they were the official Couple of the Night awardee that evening. In 2nd place is surprisingly Bailey May and Ylona Garcia of Pinoy Big Brother 737 Teens. 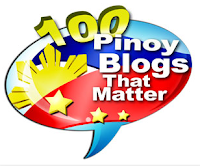 They're still a newbie, yet they can already show "voting power" in an exciting poll from this 8-year-old blog. But I think it wasn't just about that, Bailey and Ylona were absolute standouts at the Star Magic Ball, and so they deservingly took that 2nd spot. In the Top 5 are the pairs of JaneRome (stars of the afternoon soap 'Nasaan Ka Nang Kailangan Kita'), DanRich (a couple for months now and will soon headline their own show 'Be My Lady') and the KathNiel (who's reigning on primetime via 'Pangako Sa 'Yo').